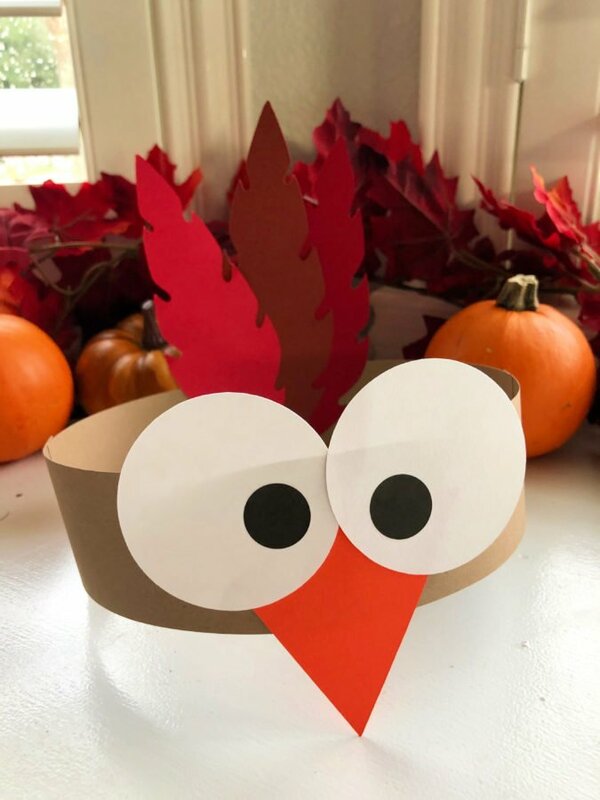 Turkey Paper Headbands are the perfect 10-minute low-mess craft to make with the kids for Thanksgiving! 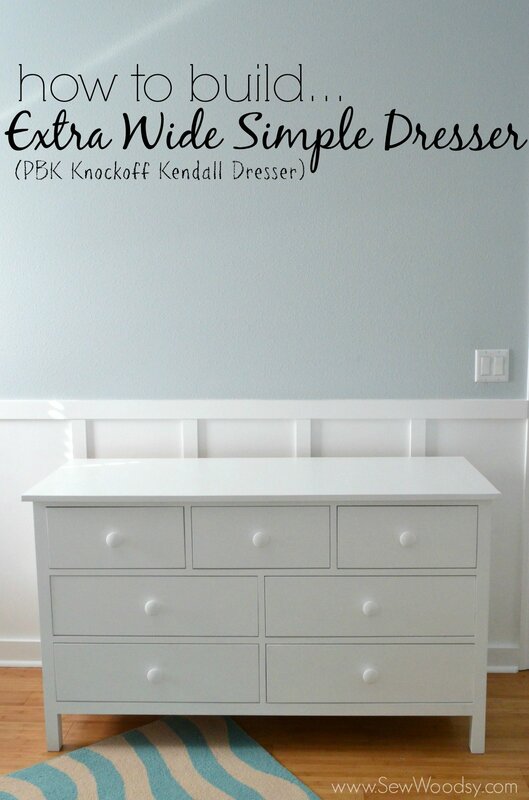 All you need is card stock and a Cricut! 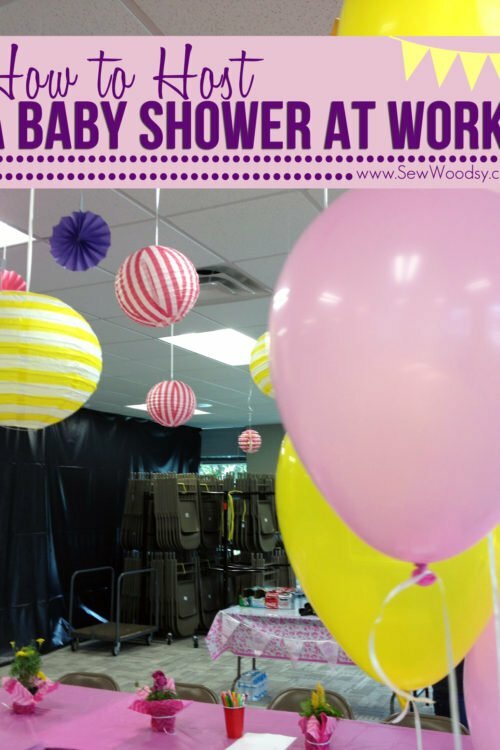 I’m always looking for a fun and low-mess craft that I can do with my kids. 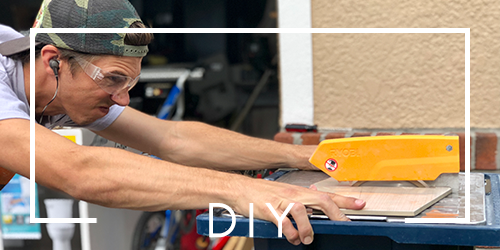 My son is now at the age where he is really into crafts and wants to do a ton of crafts and fun little projects for every holiday. 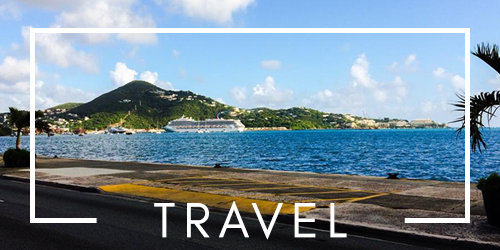 I’ve had to get my creative cap on over the past few months. 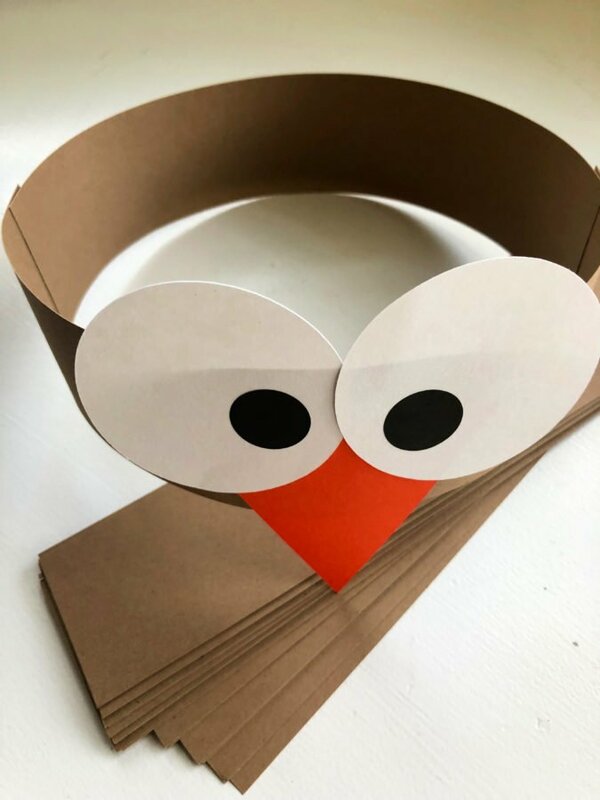 Last week, I shared the tutorial for my Turkey Paper Bag Puppets, and today I’m sharing these adorable Turkey Paper Headbands. You’ll notice they look similar. This was a happy accident. 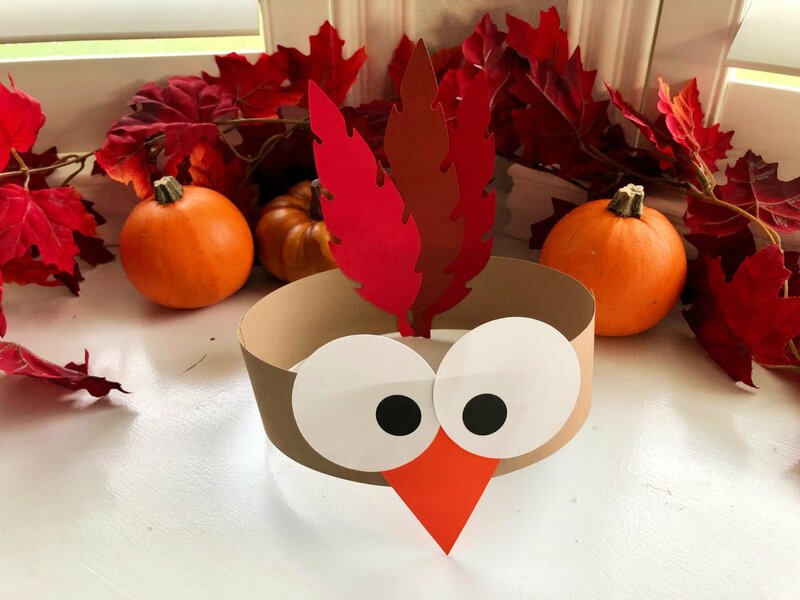 I was asked to lead the Thanksgiving craft for the fitness group I belong to. 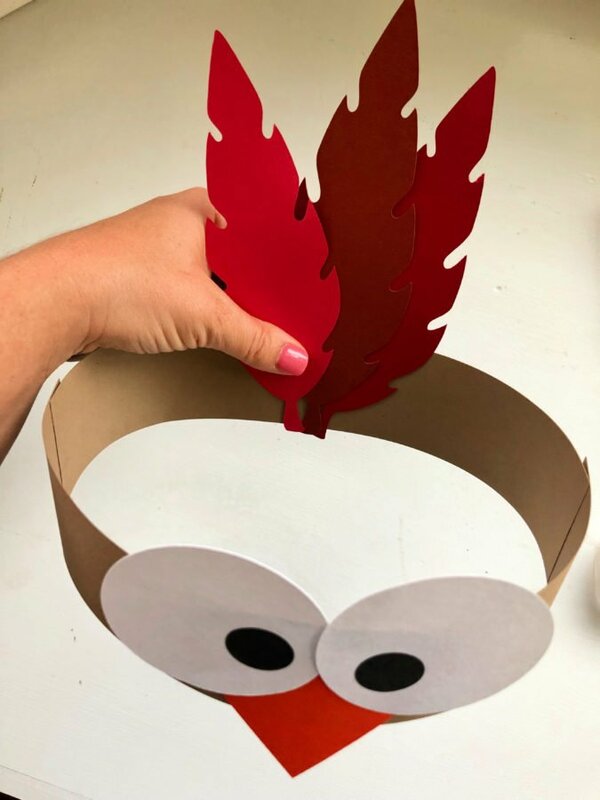 I had a bunch of leftover cut pieces from the paper bag puppets, so I decided to make a turkey headband and it worked perfectly! 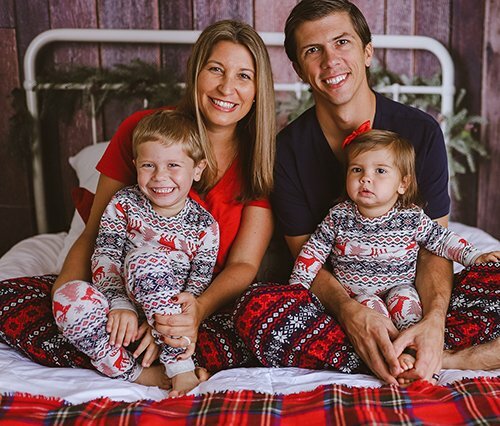 These headbands come together in minutes and all the kids absolutely loved them. 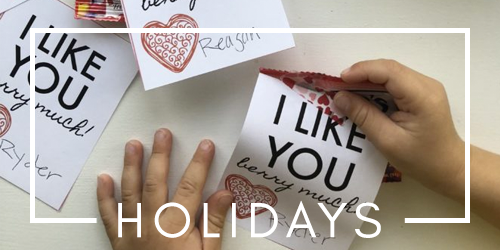 I made them at my fitness class last week, at home with my son, and even at a Friendsgiving play date we had today. 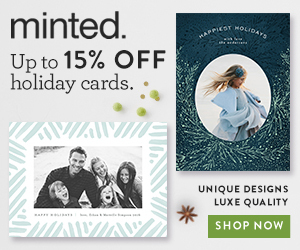 First, open up the Design Space file. You will have to pay for the feathers, just FYI. If you want to make more then one headband all you have to do is click on one of the pieces on the canvas, then select “select all” (top left side-bar), then select “duplicate” on the right hand top sidebar. 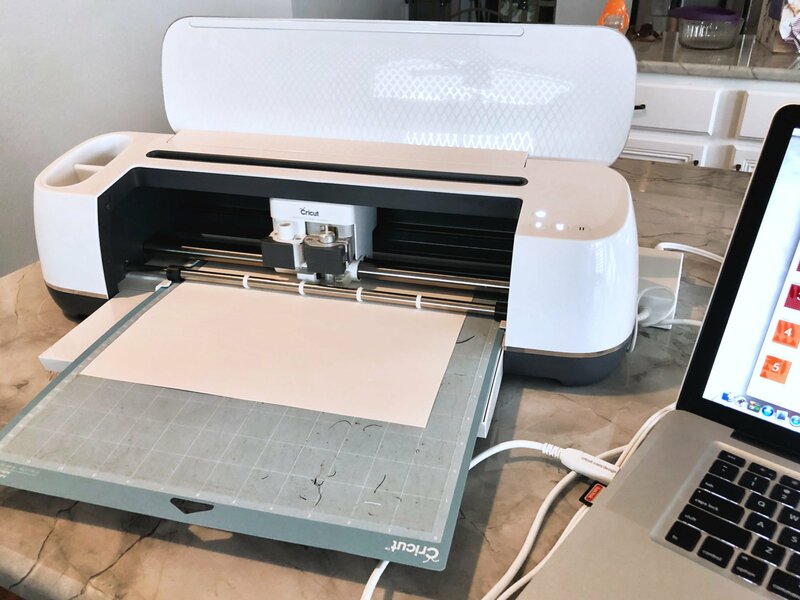 Duplicate as many times as you need materials cut. 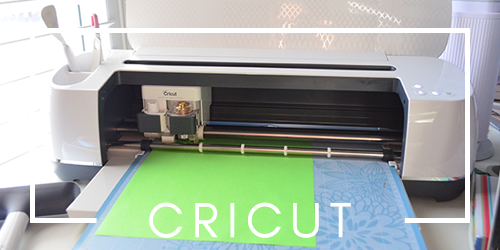 Next, place your card stock on your mat and begin to cut. 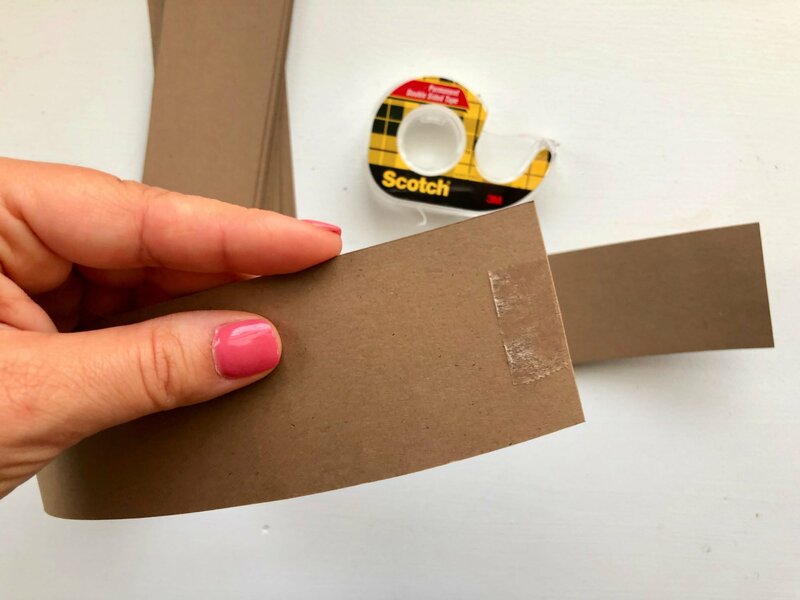 Once you have all your card stock cut; you want to make the headband. I use double sided tape to tape two pieces of rectangles together. Next, you add on the beak aka the triangle. 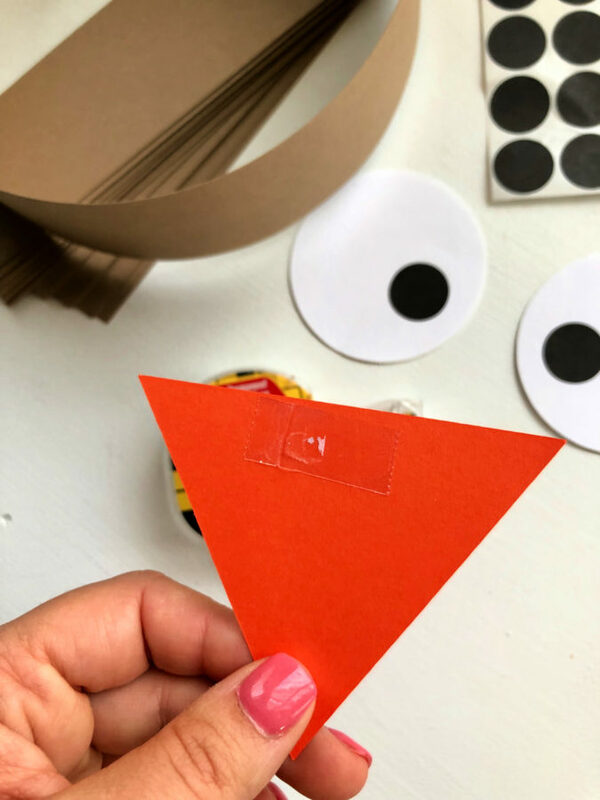 This is also a good activity to work on shapes and colors with the toddlers. I place the beak at the half way point of the headband. 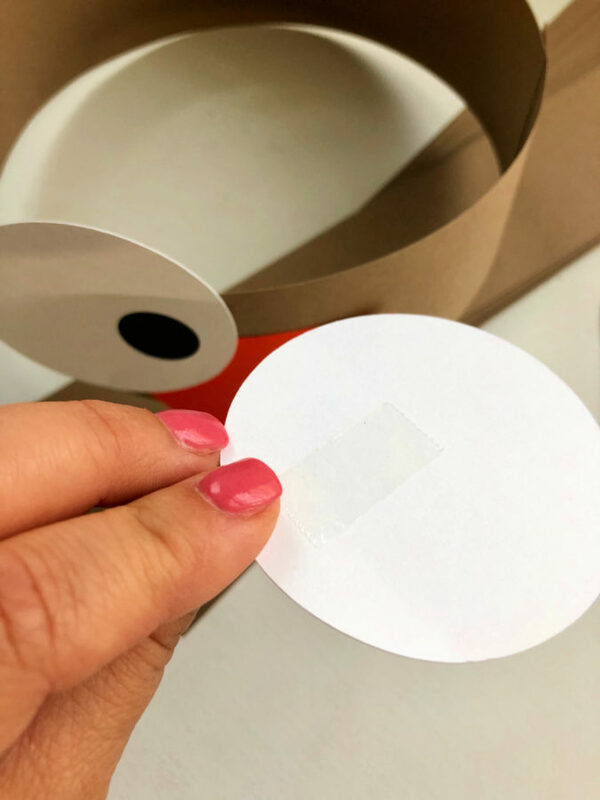 Next, add the Avery 05459 Handwrite Only Removable Round Color-Coding Labels to the white eyeballs. 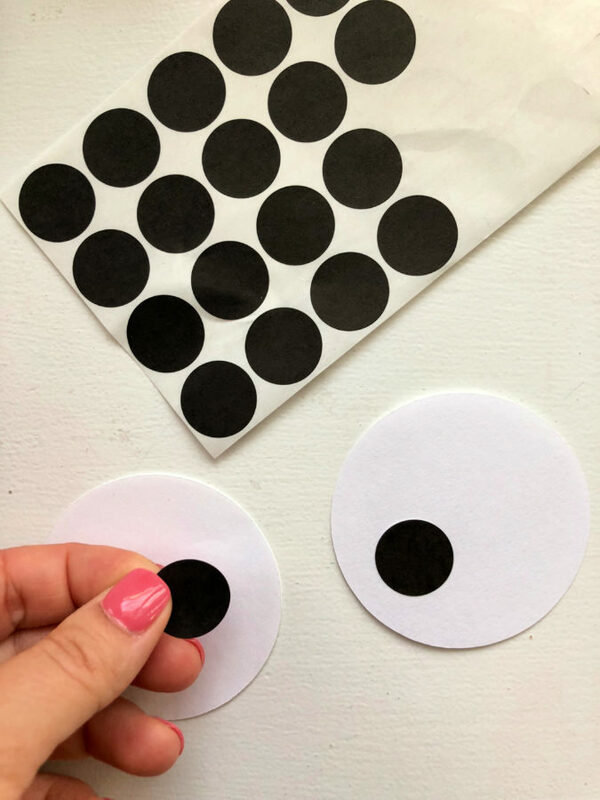 If you don’t have these stickers I’ve included black circles you can cut out and tape or glue on. 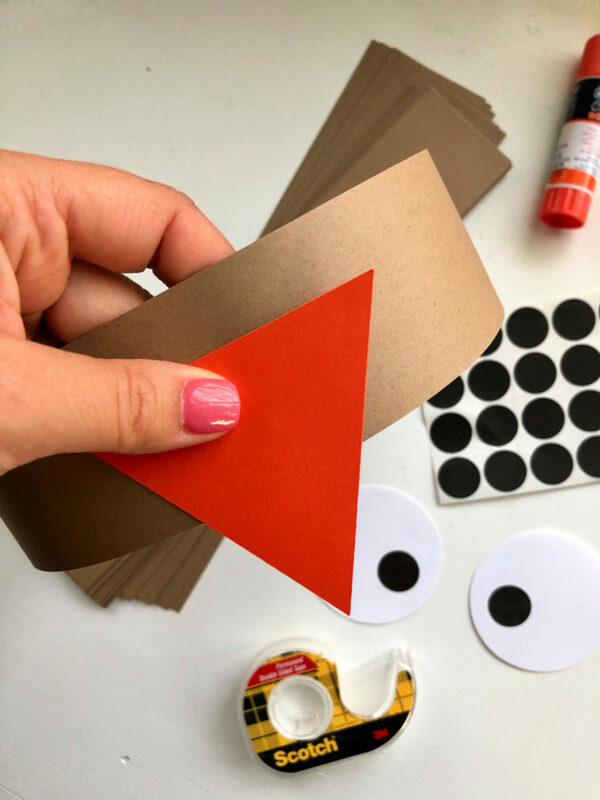 Then, place a piece of double-sided tape on the back of an eyeball. Adhere to the headband. Repeat and overlap slightly. The front portion is done. Now on to the feathers. 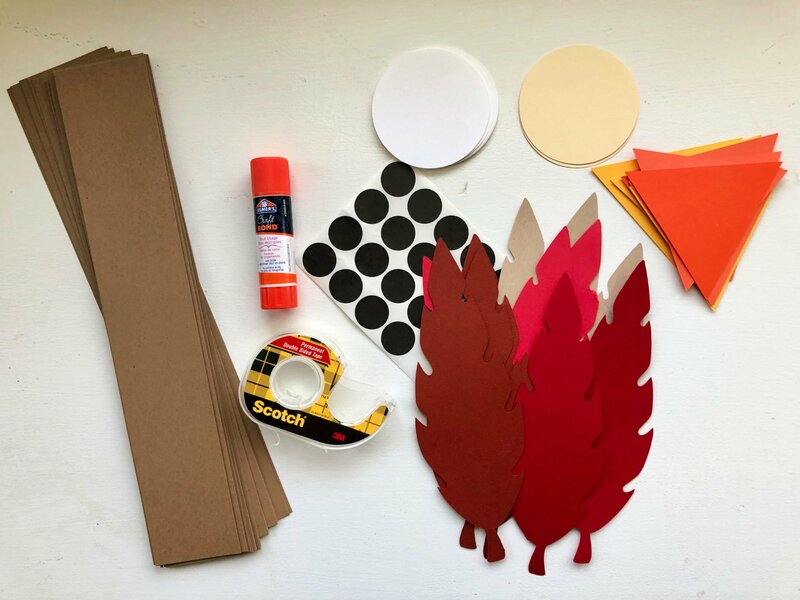 Place a strip of tape along the bottom of the feathers. Adhere them to the inside of the headband. 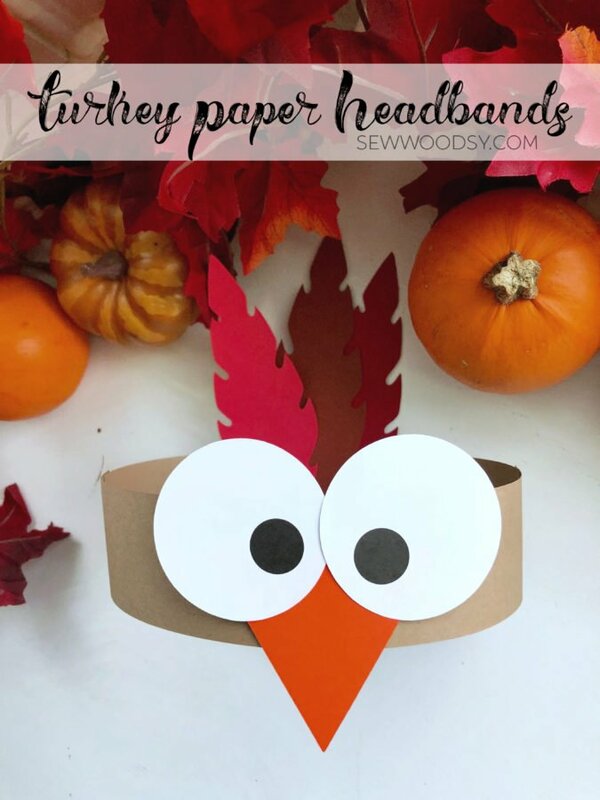 Easy as that you have the cutest Turkey Paper Headbands for your little turkeys. 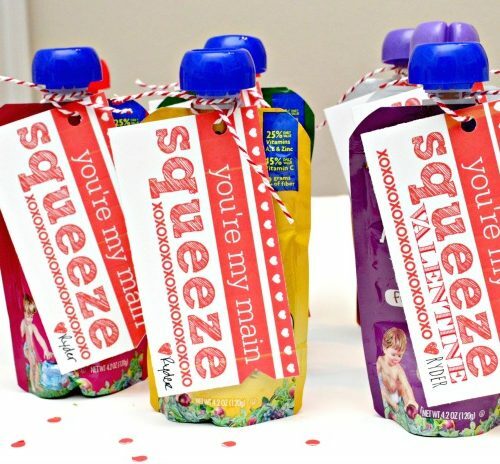 I’m in love with how cute these are and so so simple! Here is my little turkey and his friends! 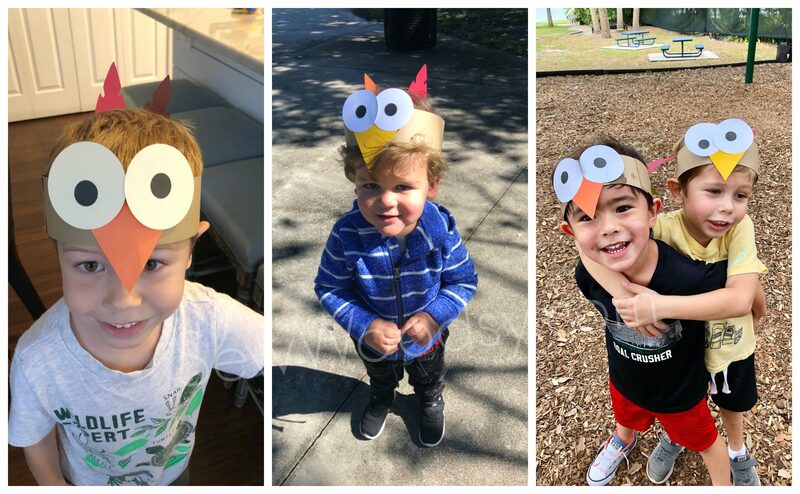 The kids all loved running around at the park with these turkey headbands. 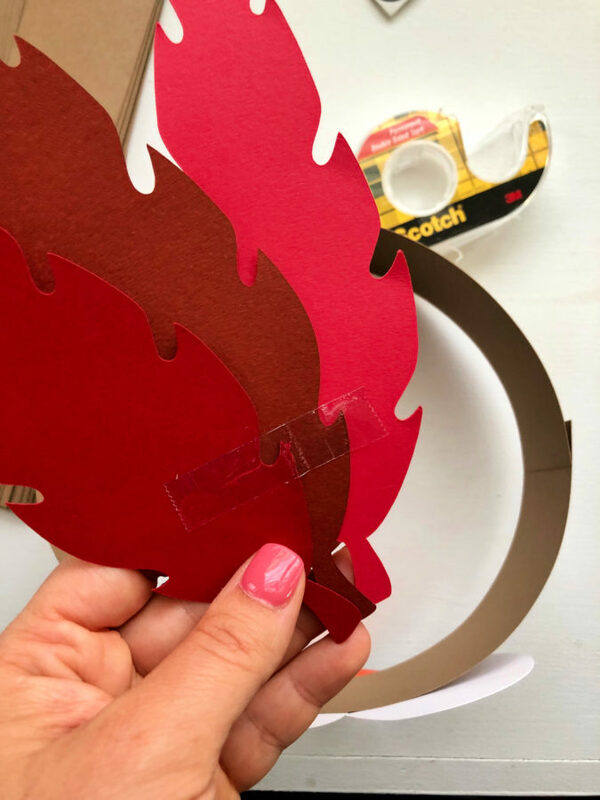 If your looking for something quick and fun to do with the kids that’s themed around Thanksgiving I hope you’ll give these a try. 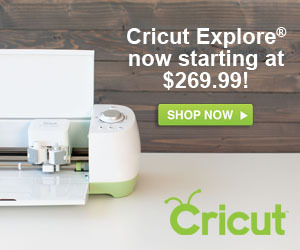 **If you don’t own a Cricut here’s how to cut these and still be able to make these at home. 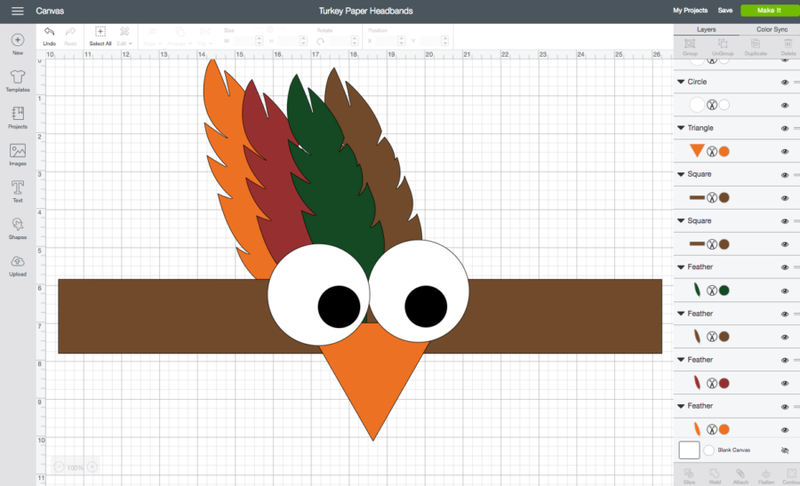 Cut two brown pieces of card stock at 2-inches wide by 8-inches long for the actual headband. 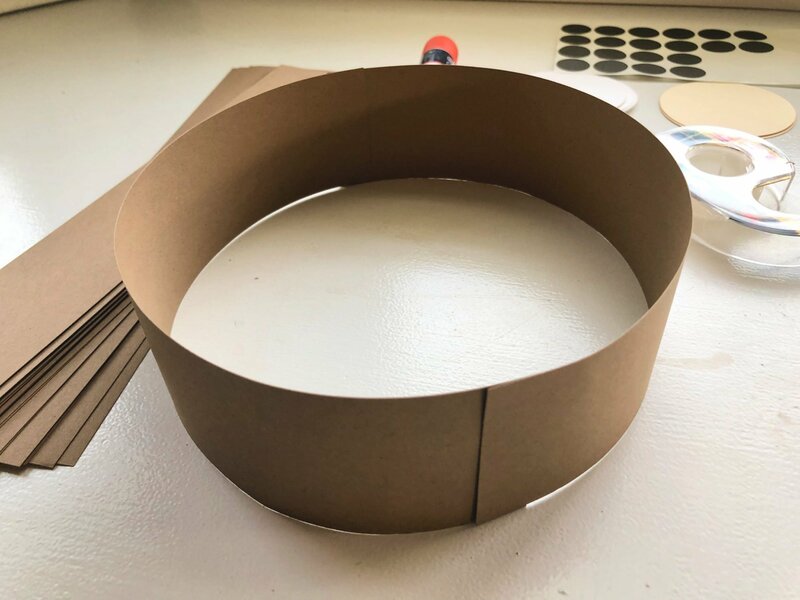 Cut two white circles at 2-inches wide for the eyes. The feathers are 7-inches long.